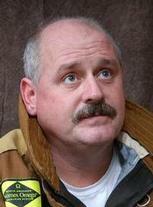 I hired on the Ashland Fire Department in 1978 and retired in 2010. I was Captain at Station #3 on the corner of 29th Street and Beech Street. Only one Engine Company operates out of there (Engine 3). 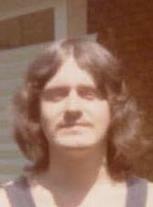 I was married to my first wife (Jill Oney) from Raceland from 1977 until 1995. I have been married to Debbie Christian since 1995. We have 7 grandchildren! and love to go RVing every chance we get! I now drive a motor coach part time for Kentucky Christian University and also Spring Valley Charter. Ah, those band trips.........what memories! 1965 Chevelle Malibu with a 283 and a 3 speed on the floor. We met at the Ashland Schools Bus Garage. We both drove school buses. What did you think you would be doing after high school? Going into the Air Force. Tim Christian and I were going to enter on the buddy system. He ended up getting married and I chickened out on going in alone! What would we be surpised to know about you? After having all that thick hair in high school, I am now bald as a cue ball! What was your favorite song during our senior year? What is your favorite song now? Visit the Holy Land and walk where Jesus walked. Visit Hawaii. Buy a Greyhound bus and convert it into a motor home, then take off in it and see the USA. My shape! I am round! Gregg Picklesimer has a birthday today. New comment added. Gregg Picklesimer has a birthday today. 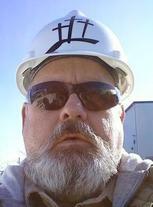 Gregg Picklesimer updated his profile. View. Gregg Picklesimer joined via Class Connection Facebook app. Gregg Picklesimer changed his profile picture. Gregg Picklesimer changed his "Now" picture. Gregg Picklesimer changed his "Then" picture. Back when I still had hair!